The San Diego lung injury lawyers at DiMarco | Araujo | Montevideo know how devastating and tragic a lung injury can be for a person. We have seen it countless times before during our 30+ years assisting clients with lung injuries or lung disease. We are proud to say that we have also helped thousands of our clients get the comprehensive medical treatment they deserve and the maximum legal compensation that they need to be made whole again. Contact our S.D. injury law firm today to schedule your free case evaluation and free initial consultation. We will discuss the details of your specific lung injury regardless of whether it was caused by powders, hard metal dust inhalation, blunt trauma, or exposure to other poisons, disease, or irritants. There are those in the county that consider us to be the best San Diego lung injury lawyers. We will work hard live up to those highest of standards. Potential litigation issues including: law and motion, expert witness depositions, investigation, legal evidentiary standards of proof and legal requirements, written discovery, pleadings, types of causes of action, lay witness depositions, potential special and general damages including: temporary disability benefits, loss of earnings, bodily injury, medical treatment, and other damages and benefits you are entitled to recover. Options and advice for how you could be able to do-it-yourself. What might be involved in suing another party and filing your legal claim(s) for workers’ comp and/or third party personal injury. Complete answers to your questions regarding how we may be able to help you navigate the legal system during this challenging time. How we could make your case as simple, efficient and successful as possible. Our best San Diego lung injury lawyers are prepared right now to take the headache and stress of this case off of your shoulders. 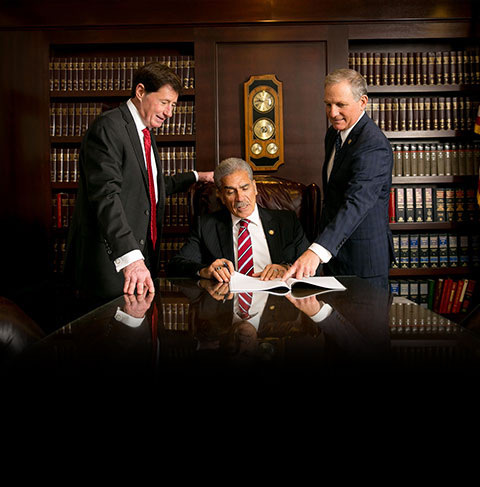 If after meeting with us and discussing the numerous costs, expenses and important steps that are needed to litigate, negotiate, file, investigate, and take your lung injury case to trial, please be aware that our firm will always be here for you. We hope that you learn a lot from our website. Call our San Diego personal injury and work injury law firm at (619) 946-6466. We will even come to you if you cannot make it here for any reason. We also make appointments for night and weekends if that works better for you. Lung injuries can be very serious so be sure to take all of the proper precautions to prevent for you and your co-workers them like wearing protective gear, limiting exposure to toxins and dusts, and to always wear breathing masks when appropriate. Keep in mind that traumatic lung injuries are possible whenever a trauma happens to someone’s neck, back, or chest. Furthermore, having rib pain is reason enough to check for lung injuries as rib injuries and lung injuries are often found together. In general, proceed with caution with any suspected lung injury. One type of injury you probably have heard about is acute lung injuries (ALI). They are mainly caused by a direct injury to the lungs like pneumonia or blunt trauma. On the other hand, pulmonary lung injuries often occur after long term exposure to dusts, chemicals, asbestos, toxins, powders, irritants, and more. Another version of acute lung injury that is worse is ARDS or acute respiratory distress syndrome. Low lung levels (airway collapse) and reduced lung compliance are also symptoms of both ALI and ARDS so call soon for medical attention. Symptoms of a lung injury to be alert for include a feeling of breathlessnesss, a dry cough, a bluish tint around the mouth and nose, light headedness, a difficulty to get a full breath, rapid and shallow breathing, wheezing, clubbing (which is when your fingernails curve over the top of your fingertips), hypotension, pain in the chest or ribs, an elevated heart rate, fever, dyspnea, and even no detectable breathing. Call a doctor if you have these symptoms as it is always better to discover lung injuries earlier rather than later. Please be aware that many of the above symptoms worsen over time so be careful to not just write them off as just aches, discomfort or “getting older.” If you think you may have any of these signs right now, call for help immediately. The list of causes for lung injuries is rather long since they can happen as a result of direct or indirect trauma to the lungs, inhaling irritants over an extended period, and some types of inflammation. Some of the irritants that affect the lungs include hard metal dust (like cobalt dust from drilling), asbestos fibers, silica dust, grain, pollutants, toxins, sugarcane, saw dust, bacteria in hot tubs and humidifiers that are not maintained, dust, gases (such as ammonia and chlorine), moldy hay, dust from bird and animal droppings, powders, and airborne chemicals. Some of the other causes of lung injuries or lung disease are injury to the chest or ribs, impaled objects, fat embolism, puncture wounds, poisoning, bicycle or skateboarding accident, sepsis, major trauma, eclampsia, truck accident, being in a car accident, a sports injury like being hit by a bat, a direct air bag blow to the chest, air embolism, radiation, motorcycle accident, burns, inhalation of noxious fumes, pneumonia, drugs, amniotic fluid embolism, near drowning, fungal infections, pancreatitis, parasitic infections, and pulmonary aspiration. Be sure to seek medical attention as soon as you are able to after any of these injuries. TRALI (Transfusions Related Acute Lung Injury) is a serious potential complication of blood transfusions. Talcum baby powder has been found to even be a cause of lung problems as it was causing lung disease or cancer (called talcosis) in babies and adults who were inhaling too much over a significant amount over time. Beauty mineral powders are another surprising cause for lung problems as they have also been found to cause lung disease with long term use. Unfortunately and fortunately, doctors, consumer protection groups and researchers are discovering more and more work environments, products, and situations where lung injuries are common. Medical professionals use your bronchoscopy (the removal of a small piece of lung tissue for studying), medical history, work history, exercise tests, high-resolution computerized tomography scan (HRCT), pulmonary function tests (like blowing into a spirometer), chest x-rays, annual check-ups, diagnostics, bronchoalveolar lavage (studying cells from air sacs in the lungs), and video-assisted thorascopic surgery (surgical lung biopsy) to help them diagnose lung injuries. Some of the possible treatment options include anti-fibrotics, pressure control ventilation, oxygen therapy, surgery, lung transplantation, acetylcysteine drugs, azathioprine, corticosteroid drugs, and mechanical ventilation. In most cases, early detection gives you the best chance for a full recovery. The San Diego workers’ compensation firm of DiMarco | Araujo | Montevideo is ready to investigate, research your claim for work comp lung injuries and protect your rights. We have assisted many clients during our career who have developed lung injuries while on the job either over time by being exposed to dusts, hard metal dust (possibly from drilling, from cobalt or being in a mine), irritants, asbestos, pollutants, powders, toxic vapors, or chemicals. Our experienced San Diego workers’ comp attorneys have also been there for victims of blunt lung trauma like that sustained in a car accident, scaffolding collapse, safety rail collapse, chest injury, debris dropped on you, equipment accident, fall, being crushed, conveyor belt accident, puncture wounds, crane accident, construction accident, being impaled, nail gun accident, motorcycle accident, forklift accident, ladder accident, jack hammer accident, and many other injuries sustained on the job. We will be sure to interview your coworkers and other witnesses to help bolster your case. An important aspect of workers’ comp law that is crucial to the livelihoods of thousands of workers each and every year is that employers cannot penalize or fire employees for filing a workers’ compensation claim. Our firm is ready to use every minute of our 30+ years of experience for you so call us at (619) 946-6466. Workers’ compensation has the potential to provide monetary compensation to you and your family for disability, income, medical benefits, medical expenses, death benefits, permanent disability compensation, and vocational rehabilitation, when the circumstances of the job injury warrant such distributions. Even though there is a chance that your lungs still get injured when wearing all of the proper gear, it is still important to wear the suggested safety gear and masks. This includes gas masks, hard hats, goggles, face masks, nose and mouth masks, and more. It is also important to be aware of and use all the safety devices on the heavy machinery, sanders, tools, equipment, and saws. To try to improve the mining situation and lessen the rate of injuries among mine workers, our country passed the Miner Safety Act in 2006. The law hoped to help improve the conditions that miners and drillers worked in. Unfortunately, mining still has one of the highest rates of fatal injuries. Miners come across many dangers both when they are working under and above ground including toxic gas or fumes inhalation, electrocutions, explosions, falling rocks or boulders, equipment that is hard to handle and many others. An additional top ailment that miners face is that of developing respiratory problems, trace metal lung disease, black lung, hard metal lung disease, or pneumoconiosis disease. Drilling, workshop dust, mining for coal, and hard metal dust like cobalt seem to be a direct way to injure our lungs, put toxins into the body, poison our systems and lower one’s immune system. The mines are safer than they were back when we started in the late 1970s but they are still a cause of many lung injuries today. One terrible side effect of electronic technology is what happens after we throw it away or recycle it regarding all of the electronics, circuits, and trace metals. Sure, taking your electronics to an e-waste recycler is many times better than throwing it away. The issue is with the health of the workers who melt the metals and take apart circuit boards, stereos, TVs, computers, cell phones, lap tops, smart phones, music players and other electronic devices down to their smallest components. They can be inhaling toxic levels of workplace dust, battery acid and hard metal dust. In some studied cities where this is done, the air quality is poor throughout the surrounding city and hard metal dust can be found in air and dust samples from around town. As everyone knows, pyrotechnics are dangerous for many obvious reasons. One reason that is not so obvious is that aluminum powder flakes are often found within air samples all throughout the pyro-producing factories and plants. It has been proven that employees can develop serious lung disease from the long term exposure to the hard metal dust and powder. It is important to call us today to discuss your aluminum powder exposure lung injury and to call your doctor. Food processing workers and other employees who work with some types of butter flavoring could be at risk of developing severe lung disease, respiratory injuries, or being afflicted by asthma due to the natural ingredient of diacetyl. Workers in microwave popcorn factories, flavoring companies, bakeries, theatres, popcorn factories, snack factories, and mass food production plants are some of the workers who could have been or will be exposed to diacetyl. It can also be called “popcorn lung” and, sadly, the symptoms of popcorn lung do not go away when someone stops being exposed to diacetyl. Bronchiolitis obliterans is a possible condition that may come from popcorn lung. It is very dangerous as it causes the airways to thicken and narrow. Construction workers are not only constantly in work environments and situations where traumatic injuries to the neck, back, and chest are possible, they are also around elevated levels of powders, dirty air, sawdust, dust, pollutants, and other irritants. The people who work with the table saw or the chain saw are constantly inhaling in sawdust, splinters and other particulates are examples of how construction workers often get lung injuries or lung disease. The particles that are so bad for us to breathe can be even too small to take much note of. Before the dangerous truth was known about asbestos, it was used throughout all kinds of product lines and industries in construction products and home products. It has since been found to cause mesothelioma, diffuse pleural thickening, asbestos warts, malignant lung cancer, pleural plaques, asbestosis and other serious health problems after long term exposure to it. Certain products and environments around today are still at risk of containing asbestos including popcorn ceilings, old insulation, old kitchen products, old homes, and old plaster. Given how dangerous asbestos is and the many years of studies and trials proving long term exposure and medical issues are related, be sure to call the doctor right away and our firm next. Filing a claim for workers’ compensation could help you recoup some part of your lost wages due to the work injury or accident while on the job. To get the most compensation possible under the law (even potentially including your full income), there needs to also be a third party who is proven to have had a part of the fault in causing your lung injury. Those that could be a third party for lung injuries include manufacturers, companies, contractors, part suppliers, factories, sub-contractors, repair shops, government entities, product manufacturers, or anyone else who may also be at fault but is not your employer. Be sure to contact us soon at (619) 946-6466 if there is a potential third party as those cases are greatly improved the sooner that one of our San Diego work injury attorneys can start investigating the injury and preparing the dual cases. OSHA (Occupational Safety and Health Administration) has a history of creating rules and regulations to try to make working and being on the job safer for most workers in this country. OSHA still states that “Every day in the USA, more than 14 workers lose their lives in preventable workplace tragedies.” With that terrible statistic in mind, OSHA continues to tighten safety regulations and rules and press industries to train their employees better and work harder to prevent injuries. OSHA investigates accidents, equipment, injuries, mines, collapsed mines, defective products, manufacturers, tools, and safety code violations by conducting site inspections, interviewing witnesses and employees, reviewing maintenance records, talking with management and ownership, checking logs, and by other investigations. They should always be cooperated with since they have all our safety as their top priority. We walk with you every step of the way! We offer free consultations so that you can get to know us as we find that once people learn about our unique and successful approach to injury law, they are at ease throughout the legal process. This is because they know that we will work hard on their behalf and that we will keep them in the loop throughout. All of our clients do not pay us anything unless we win the injury case and so it will be the same for you. The San Diego lung injury lawyers at DiMarco | Araujo | Montevideo will come to you at your house or hospital room if you are unable to come to our office for any reason whatsoever. We are well known throughout San Diego, California, Chula Vista, Los Angeles, Orange County, Oceanside, Escondido, Riverside, San Bernardino, Carlsbad, San Francisco, Sacramento, and Long Beach as some of the best San Diego lawyers around. We will also be available to meet with you, by appointment, on the weekend and in the evening if you cannot meet us during the normal times of Monday through Friday between 8:30am and 5:30pm. We are the San Diego law firm you can trust and we hope that you and your family recover as quickly as possible.